I was trading for a tarot deck (something which I love to do) and needed to come up with an herbal remedy as part of the deal. Looking at my tincture cabinet a glowing yellow extract sang out - use me! It was my batch of fresh Ginger (Zingiber officinalis) alcohol extract and from there I created a warming winter potion that has become one of my favorite seasonal remedies. The winter time can be full of all sorts of enchantment. There's merriment to be had, good food to eat, dark skies to cuddle under, hot drinks to be drunk. And there's also family (for better or for worse), way too much emphasis on consumerism (rather than true giving), and it can be really, really cold (which can be hard on our sweet humxn bodies). What I like about my Winter Warmer blend is that it brings heat to the body while also helping out our nervous system and supporting our digestive health. One remedy, many uses - just how I like them. With only a few ingredients, it's easy to make, but the key is to use fresh Ginger to get that delicious spicy bite (don't worry though - I've adjusted the recipe if you only have dried Ginger on hand). Ginger (Zingiber officinalis) is a warming stimulant most often used in traditional western herbalism to energize a sluggish circulatory system. It assists with indigestion by waking up our internal digestive fires and clearing out stagnation. I like adding Ginger into blends where I want to break up some tension (hello family during the winter holidays) and find that the herb works well with other classic nervines like Milky Oat. Milky Oat (Avena sativa) is my most favorite nervine. I love Milky Oat. I love standing in fields of it during the spring. I love it's milky green color when prepared fresh as a tea or as a tincture. I love the way that it feels like an infusion of cozy vibes straight to the nervous system. Milky Oat is one of those food-type herbs that is best taken over an extended period of time to really gain benefits from use. And beyond just working on the physical nervous system, it works on our energetic nerves, too, helping to retrain the ways we choose to take on or let go of stress. A beautiful ally all year round! Eleuthero (Eleutherococcus senticosus) is an adaptogen that I reach for often because it works well for old folks, young folks, and all of us in-between. It's great for adrenal stress (especially when there are signs of disturbed sleep and brain fog) and it has the added benefit of environmental protectiveness, especially against radiation pollution. What I like about Eleuthero is that it is a gentler adaptogen - it's not too stimulating and can be used for the long-term as an everyday tonic. It's one of the herbs that teaches us a lot when it comes to understanding what being healthy and centered really feels like, helping us to shift away from the idea that adaptogens are "super herbs" (all herbs are super) that will hype us up and fix all our problems. If your life feels too fast, then you might want to try slow remedies like Eleuthero to get yourself re-centered for long-term, sustainable wellbeing. Brew as a tincture (you can use the folk method or a 1:5 ratio would be just fine). You can make this into a tea - but note that I've not created this recipe with the taste in tea form in mind (though it would probably be quite nice). Winter Warmer is a great remedy to take before and after meals, but I find myself taking 3 - 5 drops throughout my day when I feel I need a little extra support during the cold of the yuletide season. Be sure to share your Winter Warmer creations and the other ways you keep it simple at during the season of Yule with the hashtag #ASimpleYule. I'd love to see the ways you're keeping cozy and content this winter. If you're looking for herbal gifts for giving, look no further. We respect your privacy and will not share your information with anyone no matter how much Ginger they offer. First, we have to travel back to Portland, Maine. I lived there with my love a few years back and fell deeply in love with that little city by the sea. In fact, it's where I started my business and began selling my tea and herbal powders at the sweet farmer's markets abundant with the local goods of the surrounding farmlands. But back to swamp tea! Summers in Maine are so dang beautiful. There was this local cafe down the street from my apartment which was run by and full of lesbians, dykes, queers, transfolks and their families (it closed it's doors when we were still living there, unfortunately, and was replaced with a run-of-the-mill pizza place - boo). They served something called swamp tea and it was delicious! My love and I barely had any extra money at that point, but getting a swamp tea was a special reward. When they closed I started to make my own in an attempt to comfort my heart over yet another queer dyke space closing it's doors (seriously, folks, we need more than bars - and even those are far and few between - and increasingly corporatized pride festivals for a healthy community). What follows is my swamp tea recipe that I include in my book for magickal mornings. But I've also given you the basic ratios to make your own swamp tea with whatever tea, spices, sweetener, and milk of choice. Why Renegade Tea? Because this tea just might inspire you to be the superfolk you were always meant to be! You'll begin by making an extra-strong brew of tea because it'll be watered down by the ice you add to it. For every cup of water you will need at least 2 teaspoons of tea but if you like your tea strong you can use 1 tablespoon. Brew your Yerba Mate for 3 - 4 minutes (or follow the recommendations for whatever tea you're using). While your tea is brewing, prepare your tea's spicy renegade companion. Blend together the Ginger and Cardamom with your milk of choice. Whizz up the blend to a frothy consistency and then strain out the Ginger and Cardamom. Mix together the spicy milk with the Yerba Mate tea. If you want extra sweetener, you can add it here. Pour over ice and shake it up! Your swamp tea is ready to enjoy! Bonus! Add in whole blueberries for a boba tea effect - yum! Go forth and make some swamp tea! What are your favorite summer teas? Let me know in the comments! When I started my herbal studies I was so friggin’ excited! I could make tea that could take care of my cold! Look an herbal oil for hair care! Ahhhh, that weed growing up through the concrete does a really useful thing!!! And then I realized that there are a bajillion herbs in the world (that is a completely accurate measurement of the number of plant kindred on our planet). Holy heck, how was I supposed to learn them all, their names and uses and contraindications? How about their folklore? Their favorite color? The dreaded student overwhelm settled in. It is not about knowing all the herbs, but knowing a few very well. I have continued to follow this simple guideline and it has served me well in my practice. While I’m always interested in learning about new herbs, especially ones that show up in my travels or are introduced to me by others (aka nerding out with other herbalists about their favorite plants), I tend to return to the same herbs again and again in my practice. These plant kindred are what I call my indispensable herbs - without them I would practice very differently and they are some of my greatest herbal teachers. I first came across the idea of a indispensable herb list from Matthew Wood who has posted his own list on his website, though, the idea of practicing with a small list of herbs for many ailments was initially introduced to me through Susun Weed’s Healing Wise. If you’re new to herbalism, studying plants from a foundation of developing an indispensable herb list can help you to focus your studies and begin to better understand how to use one herb for a wide range of complaints. If you’ve been at the herbal game for a while, creating an indispensable herb list can freshen up and focus your practice. An indispensable herb list is a great teaching tool for your own clients and students, as you can focus on speaking confidently on and sharing information about these select herbs in a way that is concise and accessible. My indispensable herb list structure is an adaptation of Matthew Wood’s since we both work with Traditional Western Herbalism (TWH) energetics (clever ones, if you haven’t read The Practice of Traditional Western Herbalism by him yet you really should) which work with the six tissue states. I also include a magickal herb and tonic herbs that are indispensable for me but didn’t fit into the initial list. If you work with other herbal traditions I encourage you to adapt the list appropriately. An Ayurvedic list, for example, might have herbs that cultivate or curb the energy of each one of the three doshas and dosha combinations. Another option would be to come up with an indispensable herb list for each organ and/or body systems. If you are an herbal practitioner that works with clients your indispensable herb list for your professional practice might be different than your list for your personal practice. Or, you could take an astroherbology approach and have indispensable herbs for the signs and planets. As you can see, creating an indispensable herb list is endlessly customizable. The herb is one that I am very familiar with and know how to use for a variety of conditions. The herb is easily accessible meaning that I can either grow it myself, wildcraft it, or source it from a reputable supplier. The herb is generally considered safe with little to no side effects and many can be taken for an extended period of time. The Nine Foundational Herbs are as they are described - foundational to my practice and often the foundational herb in remedies that I make. But they are also the pillars of my practice and my beloved teachers and guides. They correspond to the six tissue states as well as three additional herbs that cover the blood, muscle and bones, and heart of the body more explicitly. These nine herbs are the sacred structure of the temple of my practice. source unknown - if you know, comment below! The Three Tonic Herbs are ones that didn’t fit in neatly to the above list because their healing reach is so expansive in my practice, but mostly because I use them as tonics very often. Tonic herbs are plants that can be taken long-term and have a nourishing and restorative effect on the body. I always recommend a tonic herb or herb blend in my consultations along with whatever remedies I’ve created to address more acute conditions. These tonic herbs are the attending Priest/esses and Weavers of the sacred temple of my practice. The Artemisia californica plant that is now growing in my garden. The Magickal Herb is one that some folks may have on their list but many others won’t. I practice both medicinal and magickal herbalism, so all of the herbs on my list are ones that I also incorporate into my magickal practice. My Magickal Herb is one that I would be pretty sad to live without and one that I use in many a ritual and charm, but more importantly, my magickal herb is my teacher and guide to my clients on the magickal arts. This herb is the crystal-heart of the temple of my practice. So you’ve created your list - what next? If you’re a member of my free Magick Mail (if you’re not already, it’s quite easy to join) you can download my indispensable herb chart worksheet which uses the format I've described above. I regularly pull out and review my indispensable herb list because as my practice grows and changes so does my list. Angelica (Angelica archangelica) used to be my primary oily remedy, but I find myself using the more accessible (meaning it has wider range of use amongst a variety of folks) Burdock (Arctium lappa) these days. Angelica has grown more and more into an indispensable magickal herb for me, in fact. These regular reviews of your indispensable herb list are like sit down chats with your plant allies where everyone convenes and compares notes on where we’ve been and where we might be going. Consider working with each herb on your list through the Plant Ally Project. Or begin creating your custom seasonal apothecaries based on your list. Name your children after each of your indispensable herbs! Or pets! Or your favorite rocks! In the meantime, cast some cards with the Indispensable Interview spread. Check out the rest of the Plant Ally Project series and be sure to comment below with questions or musings. Better yet, share your list! We respect your privacy and will not share your information with anyone no matter how indispensable they say they are. Thank you for signing up for Magick Mail! The digital owls have been dispatched. Once you have confirmed your subscription to you will gain access to our super secret member's only area! The sniffles. The 'flu. The cranky tummy. The hacking cough. All travel around quicker than a skittish reindeer during the winter and while many of us might want to turn to herbal remedies for some help, it can be hard to know what herb to choose - especially when you're feeling under the weather. With a bit of preparation, you can create an easy-to-use winter apothecary for common seasonal complaints. It all begins by getting to know your winter plant allies and selecting a few that you become comfortable working with. One herb often serves many needs (because plants are galaxies of healing, blessed be!) and you don't need to know a hundred herbs, but just a handful, to help you keep well during the winter. Each herb listed below is in at least two categories if not more to help you find a few herbs that will work for a multitude of complaints. I have not created an extensive, never-ending list of herbs for each common winter ailment listed below because I am hoping to encourage focused simplicity in your practice. However, you might already use an herb for one or more of the categories below that is not listed and you are very much encouraged to incorporate it into your list of indispensable winter herbs. Since Creating A Winter Apothecary is part of the free Plant Ally Project series (check out the Thirty Day Challenge for a more in-depth herbal experience), I'm going to offer suggestions for herbs that you might check out but it's up to you to meet the plants and build a custom winter apothecary for you and your loved ones. Subscribers to my Magick Mail get a free worksheet and quick guide to organize their winter apothecary and easily reference what herb they might need for whatever winter illness issue that might arise. Begin by reading through the list of herbs below in each of the ten categories. I've listed when I've written about each herb, but you can also start with my Winter Wellness: Healing Herbs for the Dark of the Year which profiles some herbs on this list. After doing some research, choose one herb from each category. You might end up with 10 different herbs to work with, but most likely you'll have less since each herb can be found in more than one category. Learn about the best way to prepare your herb as a remedy. I've listed common remedy preparations in my Plant Ally Project Thirty Day Challenge. If you're looking for more in-depth and diverse herbal remedy tutorials check out the Lunar Apothecary. Gather together your chosen herbs and have them in an easy to access space in your home. I encourage you to add labels to their containers (whether a loose herb jar or a tincture bottle) that indicates what the herb can be used for as well as dosage. You might have a jar of Sage (Salvia officinalis) and label it with the following description: "Good for wet coughs + excess phlegm, congestion, sore throats, and indigestion. Dosage is 1 teaspoon per cup of water." Create your own Winer Apothecary "cheat sheet" with my free worksheet and quick guide available to my Magick Mail subscribers. Let's start with some daily winter tonics which are nutritive, generally warming, and often immunomodulating (as opposed to immunostimulating - which we'll look at later). These are herbs that can be taken on a daily basis throughout the winter. Elder (Sambucus nigra): Read more about Elder in my Tree of Medicine and Winter Wellness post. Ginger (Zingiber officinalis): Read more about Ginger in my Aries Astroherbology Profile. Moistening or mucilaginous herbs are of great help when the respiratory tract is dry and irritated. Many of these herbs have additional nervine qualities which help to relax the tension brought on by irritation. Elecampane (Inula helenium): Read more about Elecampane on my Winter Wellness post. Angelica (Angelica archangelica): Read about Angelica in my To Ignite the Imagination post. Mullein (Verbascum thapsus): I write more about Mullein on the Capricorn Astroherbology Profile. Herbs that are astringent can be excellent allies in drying up excess damp and phlegm in the system. They help to tone, tighten, and restore tissues to their optimal state, preventing or helping the body to recover from infection or prevent it from settling in the body. Elecampane (Inula helenium): Read more about Elecampane in my Winter Wellness post. Rosemary (Rosmarinus officinalis): Read more about Rosemary in my Remembering Wholeness post. Similar to herb for dry and hacking coughs, herbs for sore throats are generally moistening in nature. Some are more drying and others are more moistening while others are neutral in temperature. Many are also anodyne in nature, meaning that they offer pain relief, which is an added bonus when dealing with the discomfort of sore throats. Cleavers (Galium alparine): Especially useful when the lymph glands are swollen. Peppermint (Mentha piperita): Read more about Peppermint in our Winter Wellness and Quicken the Mind posts. Herbs that are warming, astringent, and tonifying to the mucus membranes can help take care of the drippiness of an unhappy nose. 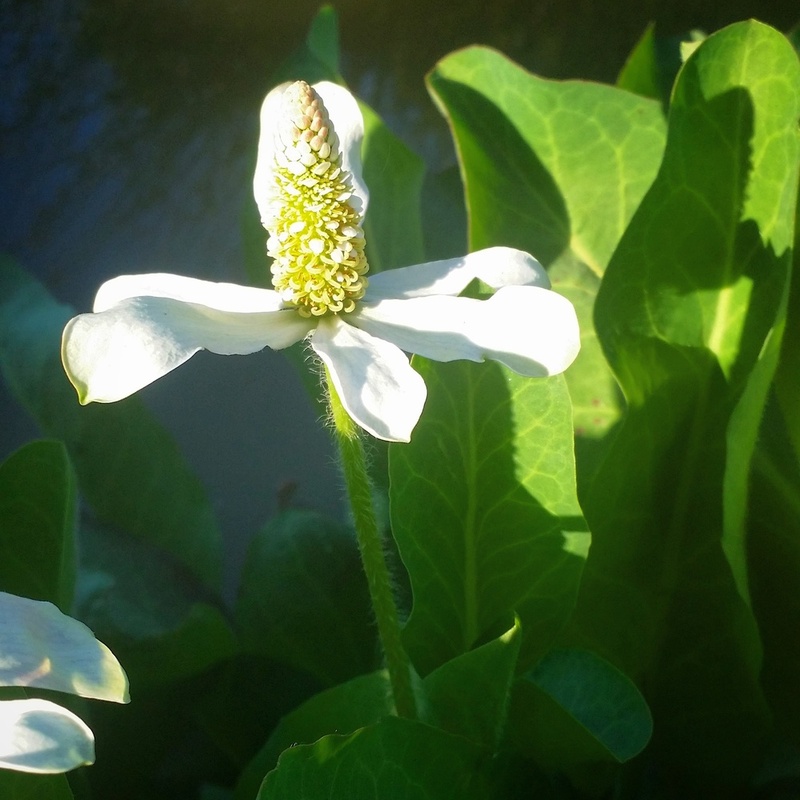 Yerba Mansa (Anemopsis californica): Yerba Mansa is a tophorestorative for the mucus membranes which is why it is great for both drippy and congested noses. Herbal expectorants help the body cough, sneeze, and release excess mucus, clearing out congestion and helping us breath clearly again. Pay attention to the color of your mucus. Yellow mucus indicates heat (think of sunny warm yellow) and more cooling expectorant herbs are useful while clear or white mucus indicates cold (think of snowy cold white) and warming expectorant herbs are a better choice. Peppermint (Mentha piperita): Read more about Peppermint in our Winter Wellness and Quicken the Mind. Our hard-working lymphatic system can get clogged down leading to uncomfortably swollen glands that can't properly process blood and fluid which means white blood cells are transferred less effectively throughout the body. Adding lymphatic cleansers to cold care blends can be very helpful in promoting a speedy recovery or preventing a virus from settling in the body in the first place. Mullein (Verbascum thapsus): Read more about Mullein in the Capricorn Astroherbology Profile. Yarrow (Achillea millefolium): Read more about Yarrow in The Warrior + The Healer post. The following herbs are known as immunostimulators meaning that they stimulate the immune system into action and are best used for a the short run when you're dealing with a cold or 'flu or in a higher risk situation for exposure (such as air travel or hanging around kindergarteners). Elder (Sambucus nigra): Some folks categorize Elder as immunostimulating as well as immunomodulating. What Elder does is disrupts a viruses' ability to replicate and while that does stimulate the immune system into action, I have not found Elder to be more useful as tonic than a short-term herb for acute symptoms (though it still is effective in the short term because it's a pretty darn amazing plant). Read more about Elder in my Tree of Medicine and Winter Wellness post. Fevers help our bodies to burn off infection and as long as they stay within a safe range (when a fever in an adult is consistently 103° or higher and lasts for three days or more it is time to seek medical help). Yet, fevers can come with accompanying discomfort including aches and pains which may be relieved by the herbal remedies listed below. Boneset (Eupatorium perfoliatum): Especially useful for when the bones feel achy otherwise known as "break-bone fever." Elder Berry (Sambucus nigra): Read more about Elder in my Tree of Medicine and Winter Wellness post. Elder Flower (Sambucus nigra): When restlessness and irritability is present. An Elder Flower foot bath can be helpful for those who are having difficulty sleeping. Read more about Elder in my Tree of Medicine and Winter Wellness post. Milky Oat (Avena sativa): While not an herb specific to fever it can be very useful in recovering from a fever when there are signs of adrenal burnout, fatigue or if the illness has been brought on, in part, because of not allowing oneself to take time grieve a loss. Vervain (Verbena officinalis): For type 'A's who don't know when to stop and need to relax in order to heal. Whether indigestion that has come with the 'flu or from a sluggish system burdened by too many rich winter foods, the following herbs, many of which are considered digestive bitters, can help to improve intestinal tone, relieve gas and cramping, and help to rekindle the digestive fires. Calendula (Calendula officinalis): Especially good for inflammation along the intestinal tract as well as stomach ulcers. I hope you're feeling inspired to create your own Winter Wellness Apothecary! Share your collection of winter herbs and remedies with the #PlantAllyProject tag (you can find images from the Thirty Day Challenge posted on instagram and tumblr) and be sure to check out the rest of the Plant Ally Project series. Keep well this winter, my clever friends! P.S. Keep warm with a traditional herbal remedy and a bit of revolution! We respect your privacy and will not share your information with anyone including skittish reindeer. Thank you for signing up for Magick Mail! Once you have confirmed your subscription you will receive access to our super secret member's only area!